I will be guiding new bloggers in the sessions. UPDATE 2/2/2012: Blissdom switched some the CL's around. I am now one of the Food/Entertainment Community Leaders. Which still rocks because in addition to my partying it up on Condo Blues, I have this awesome food blog called The Lazy Budget Chef. I've been the guest expert several times on Cooking With Caitlin's #FNIChat Twitter Parties and I am the food blogger for The Balancing Act on Lifetime Television. I'm thanking my lucky stars I got fed up with people complaining to me how hard it is to eat healthy on a budget and started a food blog. I'm still extending a big Blissdom welcome to everyone attending the conference for the first time. It can be daunting to walk into a room full of new people and not flash back to trying to find a table in the lunchroom where you feel welcome. 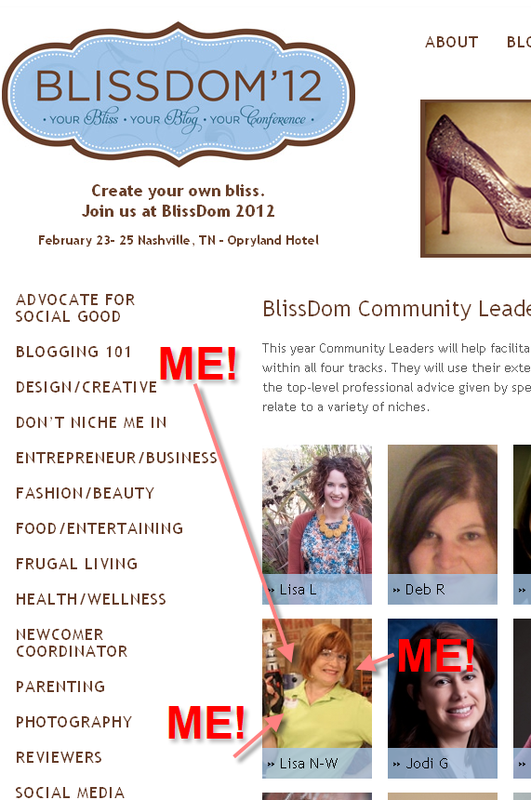 My Blissdom Community Leader bio promises a free hug if anyone feels the same way. They say seeing is believing. 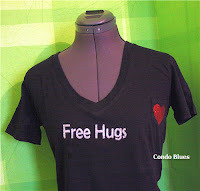 Why don't I put Free Hugs on t shirt? I didn’t realize my t shirt has a bizarre arm pit pocket until I got it home. 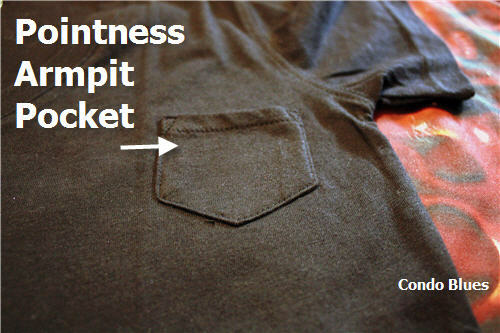 Removing the pocket would leave holes. My little fashion consultant agreed cutting a heart out of a red Tulip Shimmer Sheet and ironing it on would make the pocket look less weird. I originally planned to silkscreen the words in white fabric paint and add a glitter heart to the weird pocket on the t shirt I bought. Miss H told me to do it all in glitter. She says more glitter = more better. 1. Print “Free Hugs” in black ink on white paper from your computer. I used Word, since I wasn't doing anything fancy that required Photoshop. 2. 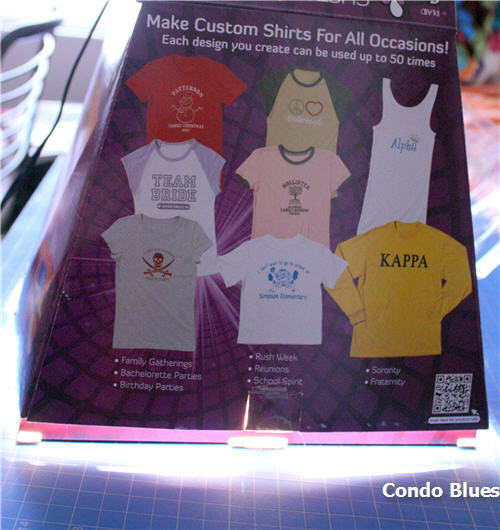 Put the design face down on the screen and into the light box. I got a tip to put a piece of glass over the art and screen to help it burn in better. I used a piece of glass from a picture frame. It worked perfectly! 3. After 25 minutes, remove the screen from the light box. This time I filled the sink with water and let the screen soak for a good 10 minutes. I used an old toothbrush to remove the emulsion from my design. This method worked much better than using the pan and sponge that came with the kit. 4. 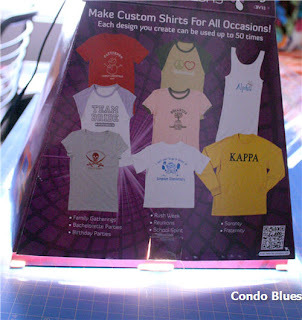 Place a piece of cardboard (I used a pasta box from the recycling bin) in between the layers of the t-shirt and taped my screen to the shirt so the ink won't bleed through the shirt. 5. 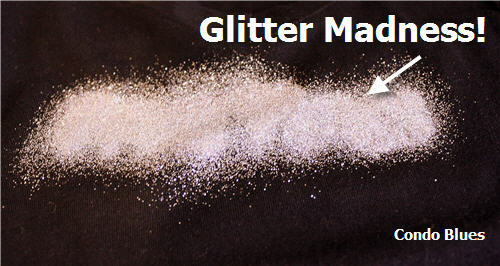 Run a bead of glitter adhesive across the top of the screen (less is more with this stuff) and spread it on the screen. 7. Set the shirt aside for 72 hours and to make sure the silk screen adhesive and glitter become BFFs. I shook the excess glitter off over the bathroom sink. 8. Cut a heart shape from the Tulip Shimmer sheet. Place a pressing cloth over the design and iron the design in place with a dry iron. 9. 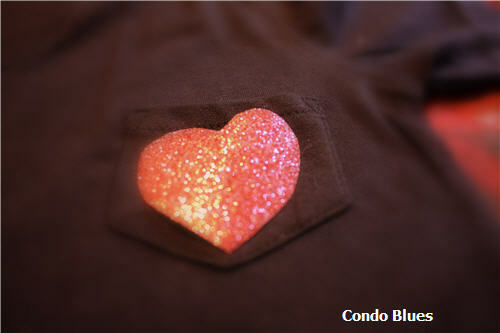 Place a pressing cloth over the glitter letters and iron the design in place with a dry iron to heat set the design. 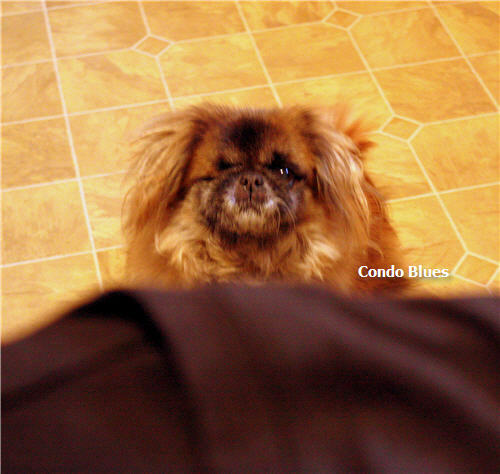 Blitzkrieg supervised the ironing while mugging for the camera. He's a multitasker! 10. Wear the t shirt and hug with wild abandon! This shirt also works for Valentine’s Day. It’s a twofer t shirt! Yay You! For the Blissdom thingy and for making such a cute t-shirt! I will definitely be keeping my eye out for you. Super cute! We will miss you at Blissdom this year, but hope to make the next! Congrats on meeting your big goal!